Dual diagnosis, co-occurring, co-existing or co-morbidity refers having more than one disability at the same time. 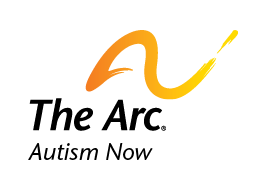 Some common related conditions that can accompany autism spectrum disorders are low IQ, seizures, chronic constipation and/or diarrhea, sleep problems, pica, low muscle tone, sensory integration disorder, allergies/immune system problems, high or low pain thresholds, and hearing and visual impairments. Other co-occurring diagnoses include attention deficit-hyperactivity disorder, Down syndrome, Fragile X Syndrome, depression and anxiety. It is important that a child be diagnosed early if he or she has an accompanying disability. Early identification and intervention can mean the appropriate educational, medical, social and therapeutic interventions that will be most effective in supporting the child and family can be identified. For example a child who has Down syndrome and an autism spectrum disorder should be assessed for signs of seizures because of the increased risk of seizures in children who have autism spectrum disorders. There are specific interventions such as sensory integration, medications, and skills and cognitive based teaching methods that have been show to be effective with children who have autism spectrum disorders that may be considered. A more frequent co-occurring diagnosis is an intellectual disability. However, verbal IQ tests may not measure accurately a child’s intelligence if the child is stronger in non-verbal skills. The Test for Nonverbal Intelligence (TONI) will be more accurate in measure intelligence for these children. Accurate testing can ensure that the child’s educational goals are structured to meet individual learning needs. Children and adults with autism spectrum disorders frequently experience anxiety and there is a growing awareness that anxiety disorders need to be seen as separate and not an inevitable byproduct of autism spectrum disorders. Signs of anxiety may be overlooked or be attributed to “behavior problems” when in reality the child or adult might be experiencing panic or anxiety. Because persons with autism spectrum disorders may not react in a typical way when anxious it is important for the people that best know them to identify anxiety and get appropriate help. More is being written about the positive outcomes for families who have children with disabilities. Like all families, families with members who have autism spectrum disorders report that they experience great joy in seeing their children achieve, they have a purpose in life, their connections to community and others was stronger, they felt increased tolerance and understanding, and their children have a positive impact on others. Families report more stress when they lack enough resources such as respite care and when they experience negative interactions with professionals and service providers. What is apparent is that families are resilient and when they have access to appropriate supports and services everyone thrives! Autism Society of America. Related Conditions. Retrieved on March 17, 2011. Bayat, M. (2007). Evidence of resilience in families of children with autism. Journal of Intellectual Disability Research. 51 (9), pp. 702-714. Evans, E.L., Dual Diagnosis: Down’s Syndrome and Autism Spectrum Disorder: A Review of the Literature. Retrieved on March 18, 2011. Hastings, R.P., Taunt, H.M. (2002). Positive perceptions in families of children with developmental disabilities. American Journal on Mental Retardation, 107 (2), pp. 116-127. Helverschou, S.B., Martinsen, H. (2011). Anxiety in people diagnosed with autism and intellectual disability: Recognition and phenomenology. Research in Autism Spectrum Disorders, 5, pp. 377-387. Hoare, P., Harris, M., Jackson, P., Kerley, S. (1998). A community survery of children with severe intellectual disability and their families: Psychological adjustment, carer distress, and the effect of respite care. Journal of Intellectual Disability Research, 42 (3), pp. 218-227. Patterson, B., (1999). Dual diagnoses: The importance of Diagnosis and Treatment. Disability Solutions, 3 (5,6). Retrieved on March 10, 2011. Stainton, T., Besser, H. (1998). The positive impact of children with an intellectual disability on the family. Journal of Intellectual and Developmental Disabilities, 5 (1), pp. 57-70.